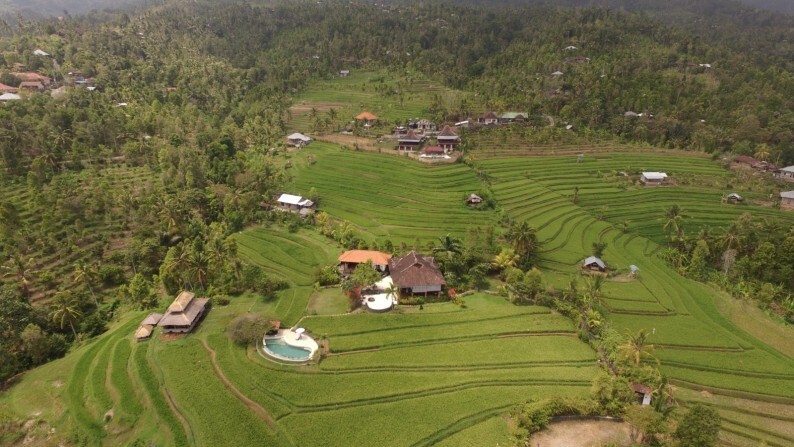 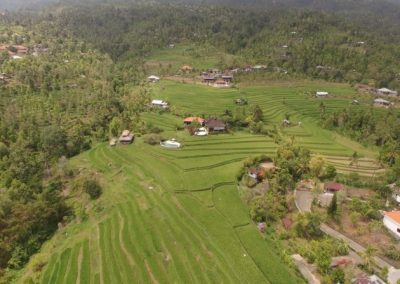 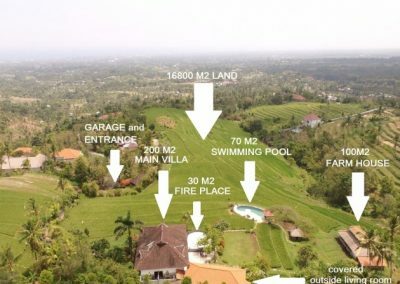 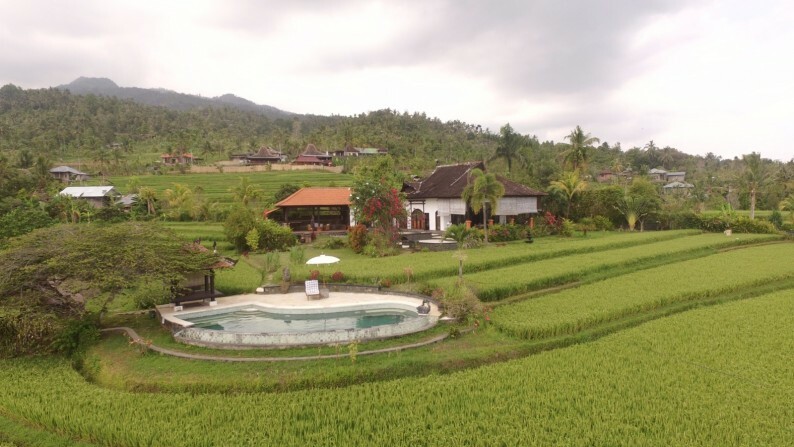 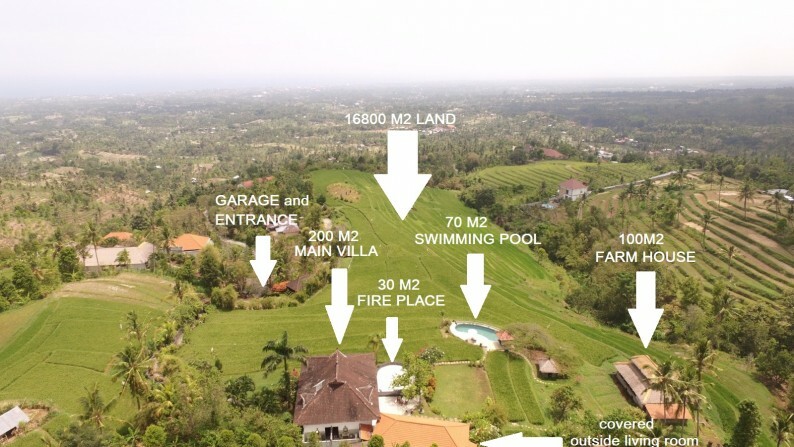 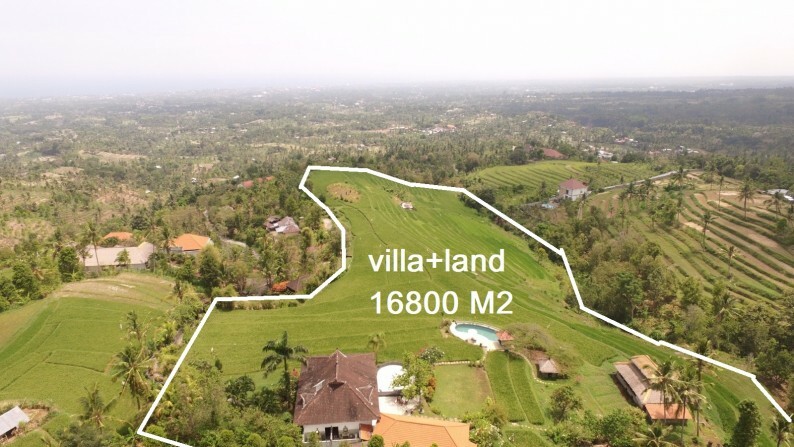 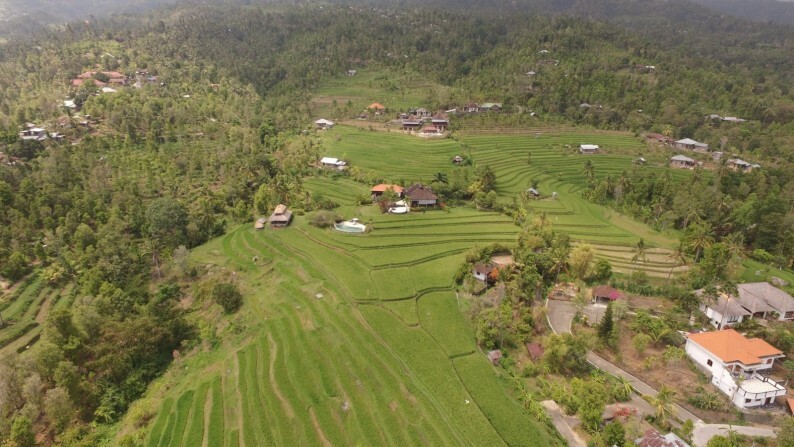 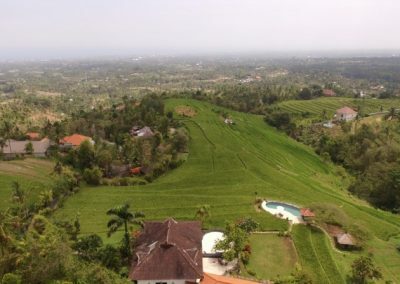 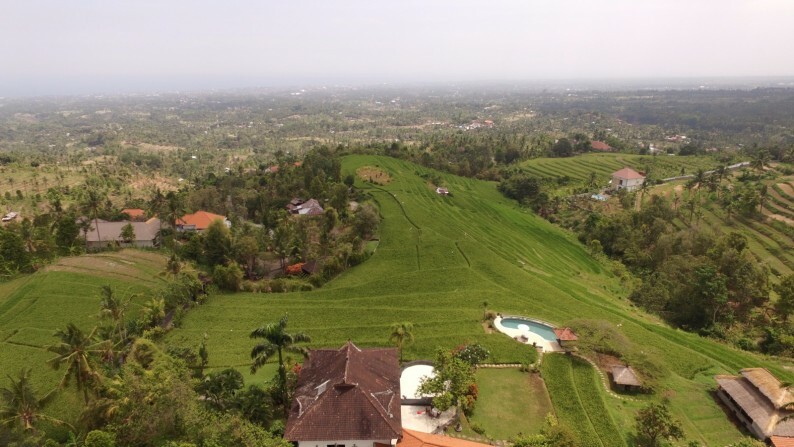 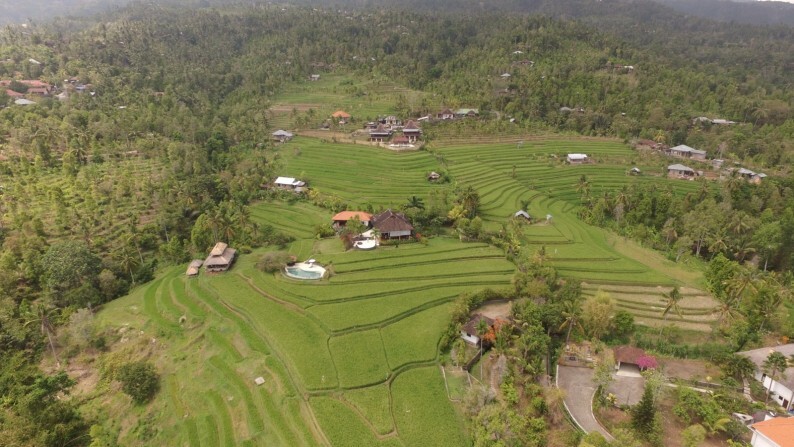 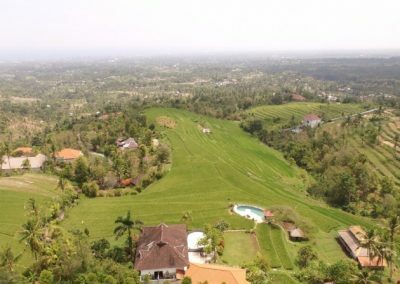 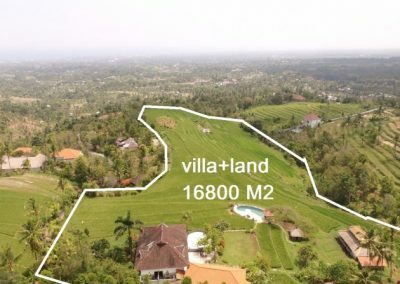 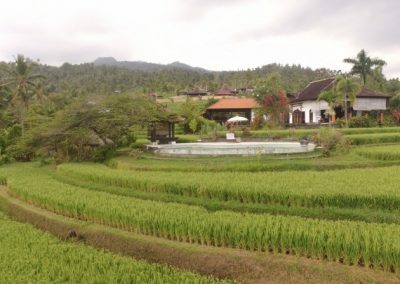 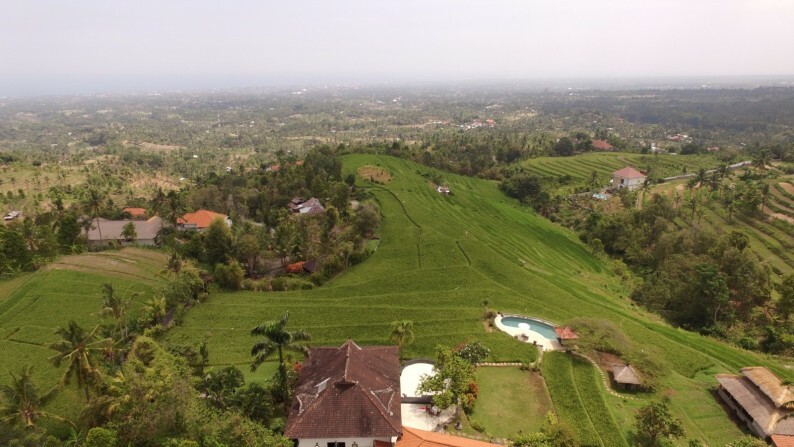 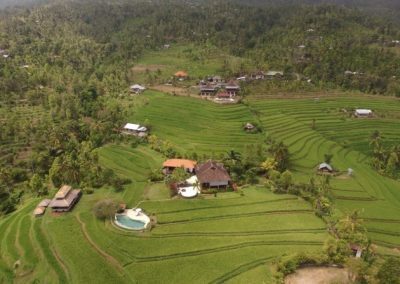 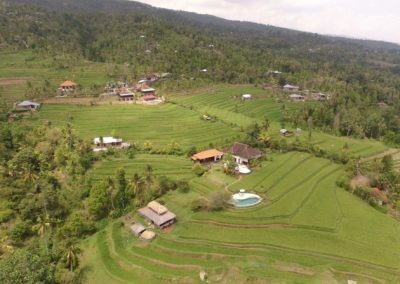 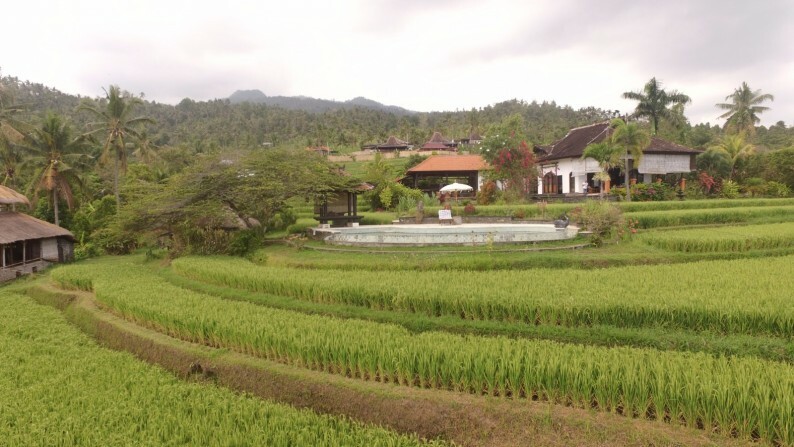 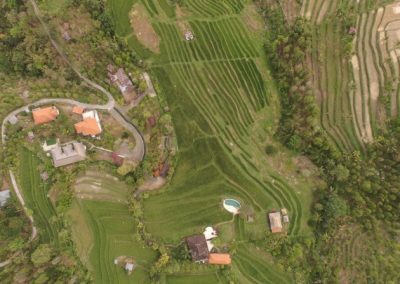 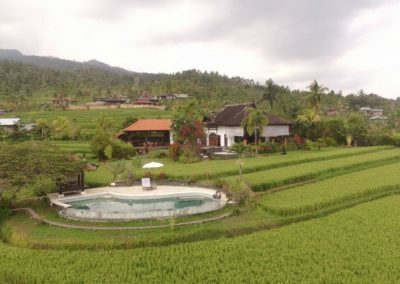 This spectacular property is about 168 ARE(1.68 HEC)/16800 M2 of terraced rice fields, mature cloves trees, fruit trees, ornamental lawns and gardens. 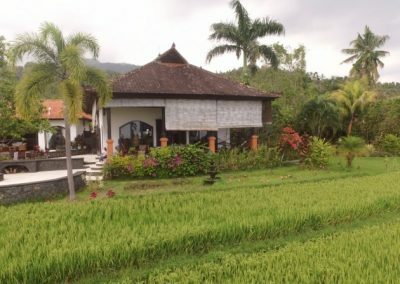 Privacy is guaranteed with an infinity view of the Singaraja hills and the Bali sea. As you would own the 16800 M2 land in front the villa, nobody is able to build in front this breathtaking landscape. 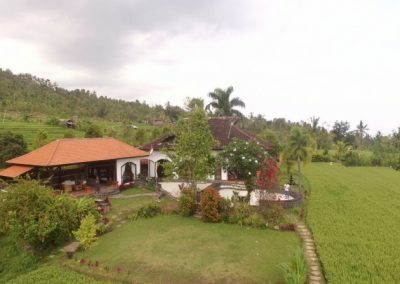 The property sits on a terrace and is bordered by two rivers. 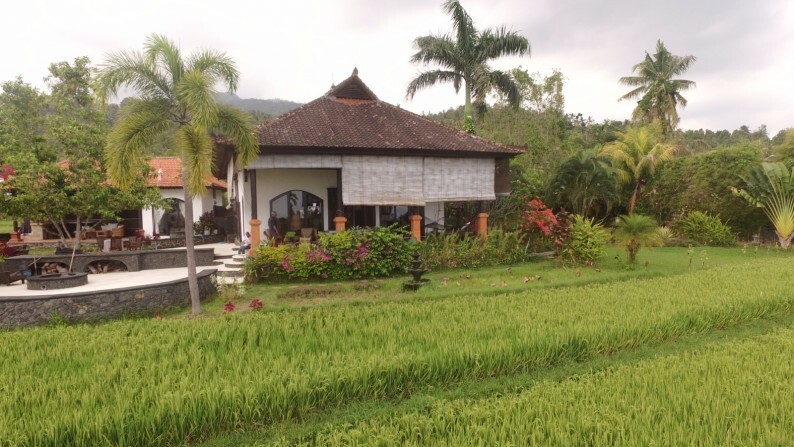 The main villa has 4 bedrooms and 3 bathrooms. 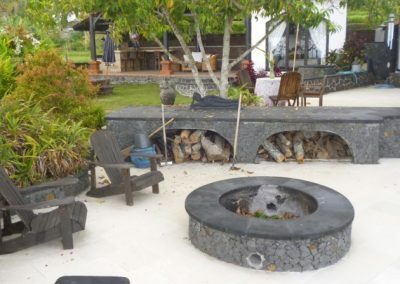 Large stone patios overlook the view down to the sea and up the mountain. 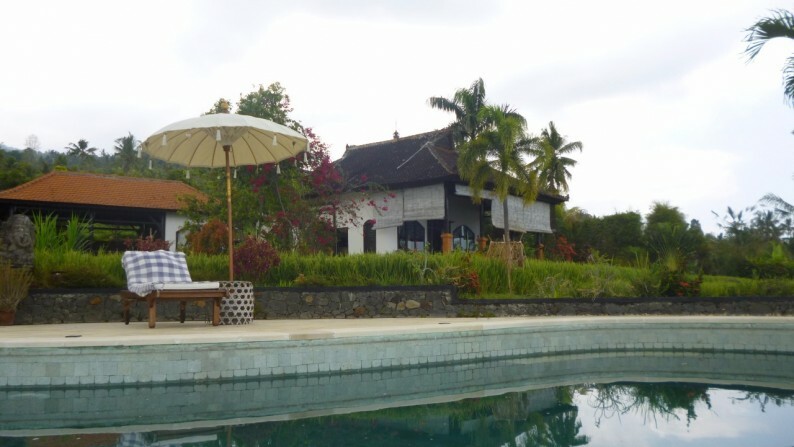 A covered outside kitchen and a spacious living room face the fire-place next to the 14 meters infinity pool. 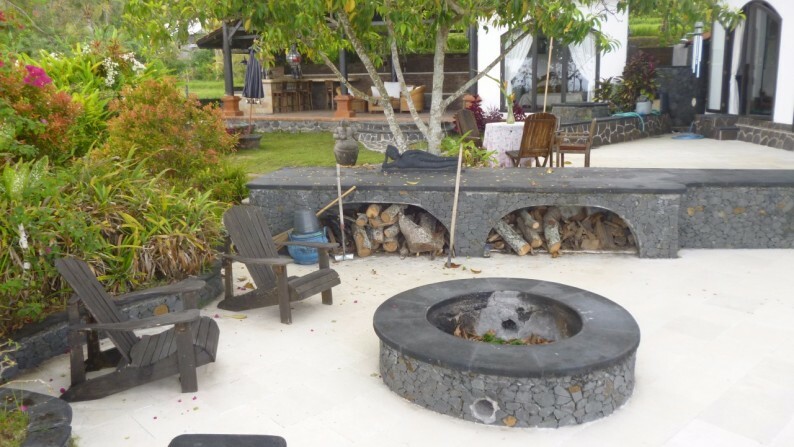 The property also includes another outdoor kitchen with wood-fired oven. 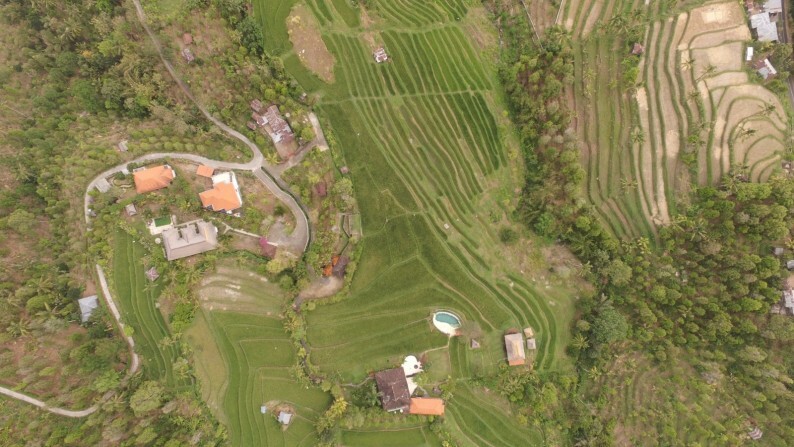 In addition the property includes a farmhouse with cows. 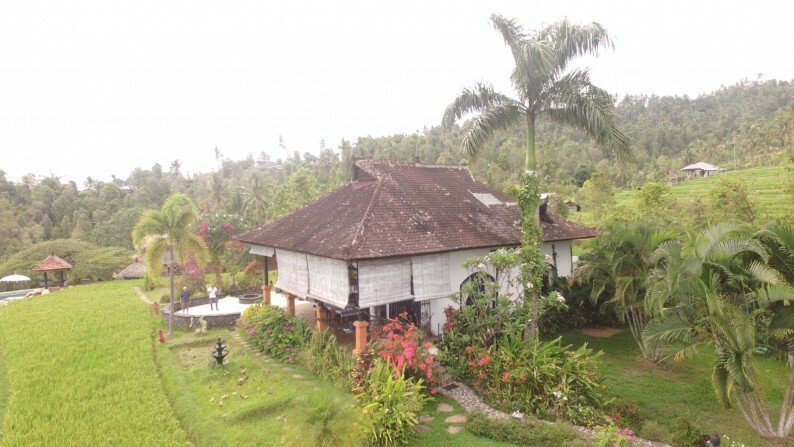 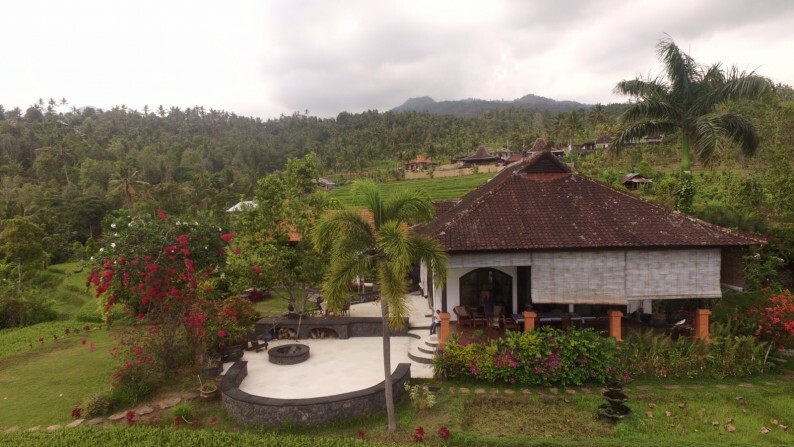 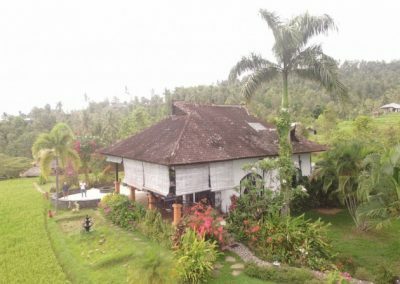 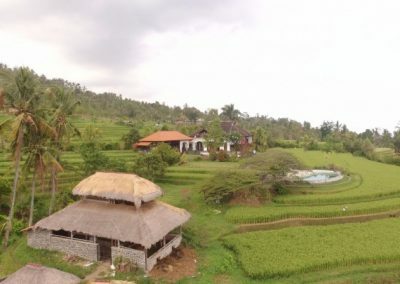 The garage, large stone barn and stone outbuilding all have thatched roofs in traditional Balinese style. 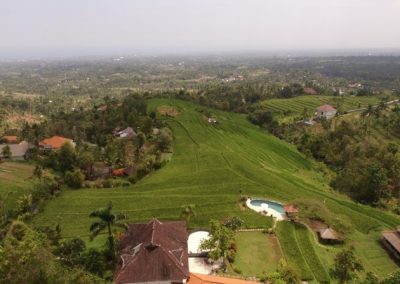 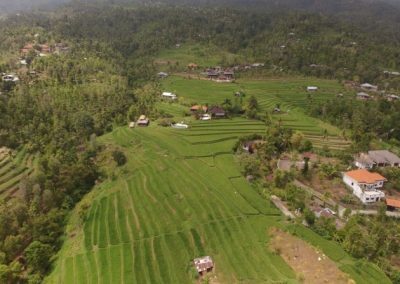 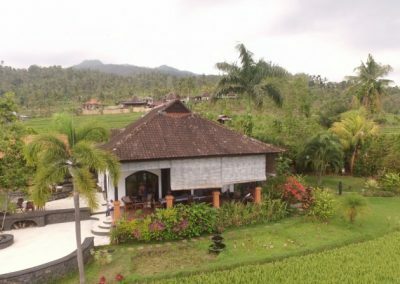 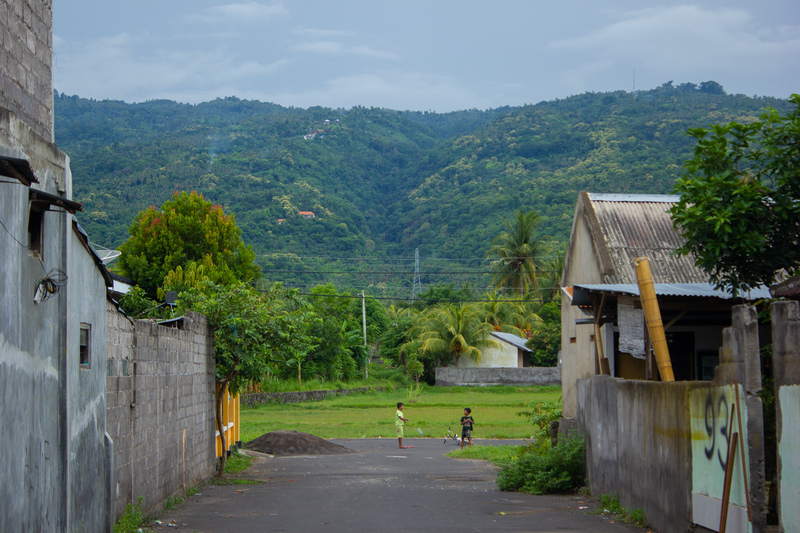 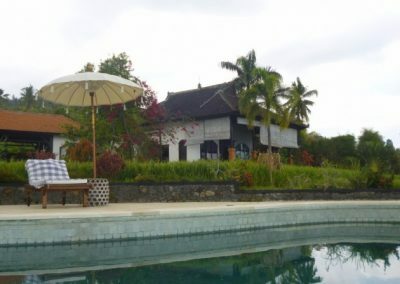 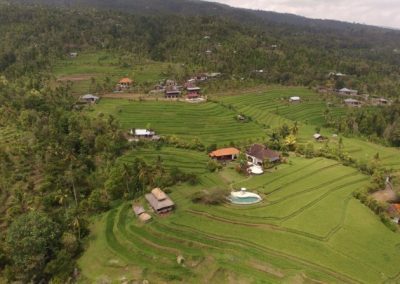 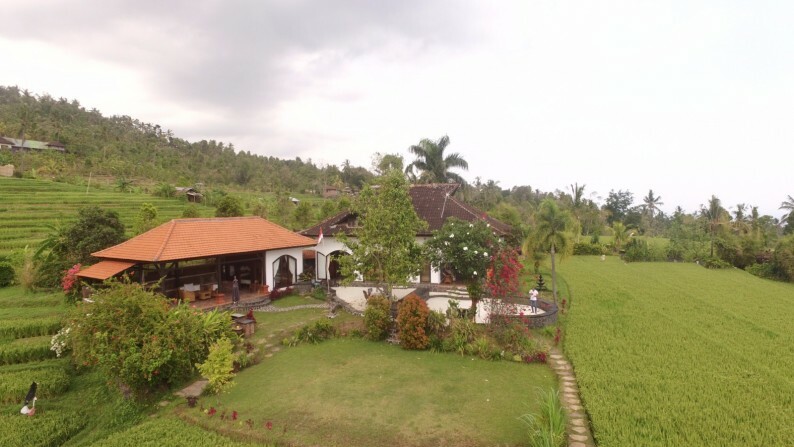 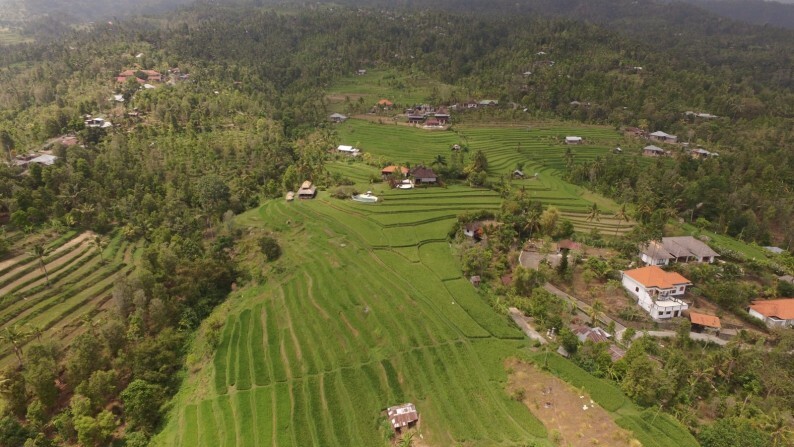 This plot of land is located ten kilometers from both the city of Singaraja and the shops, restaurants and beaches of the tourist area of Lovina, in Northern Bali. 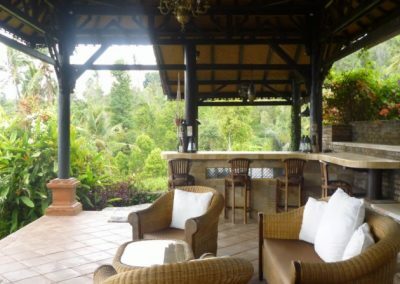 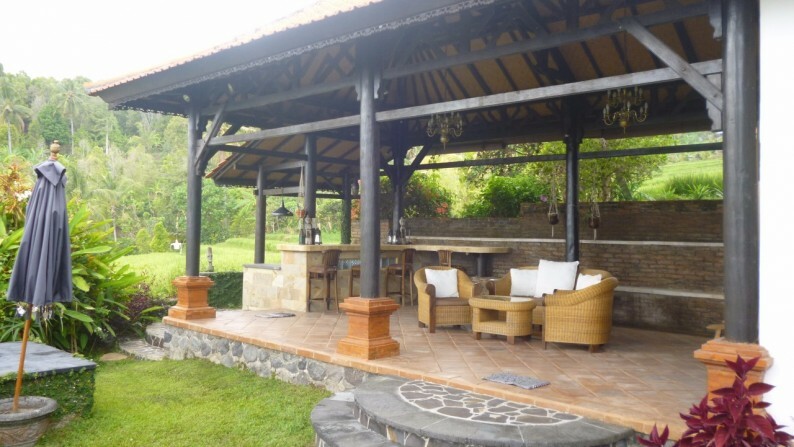 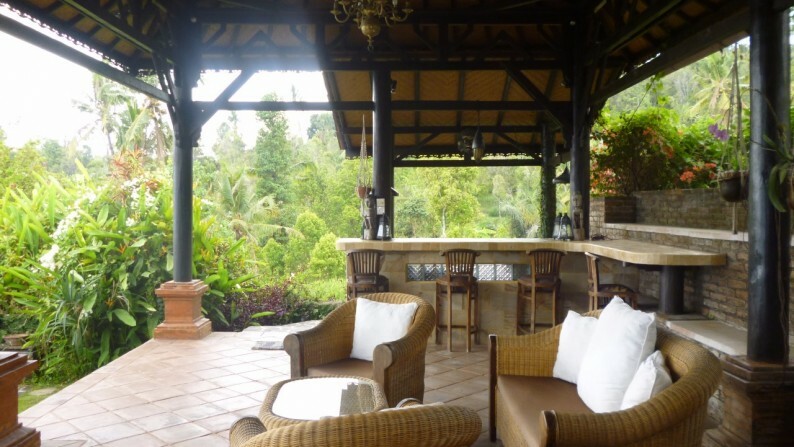 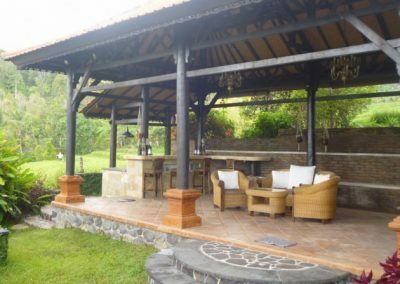 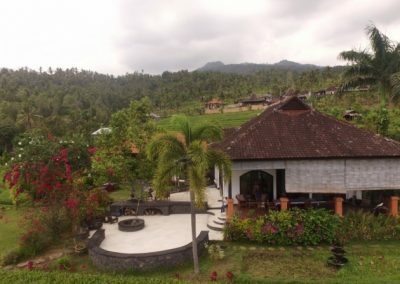 This property is ideal for an eco tourism place with a stunning view and the sumptuous nature surrounding the property. 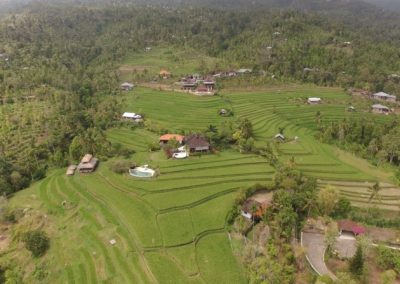 The property would also be perfect for an eco-resort, a meditation center, an agricultural homestay center, an eco-farm or bungalow resort. 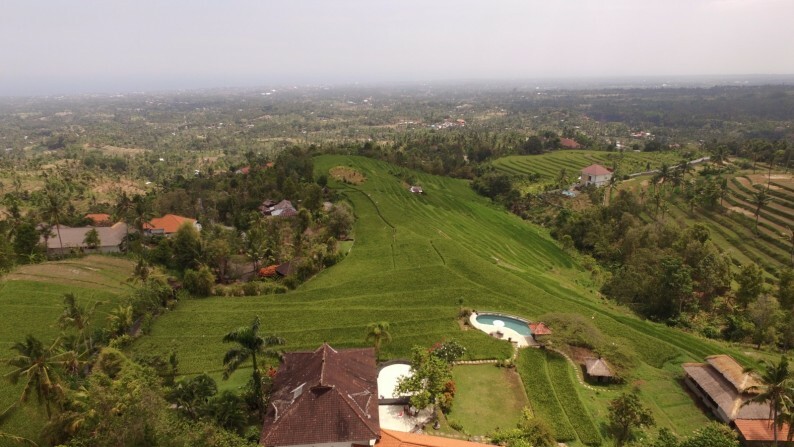 Come see why Northern Bali is our paradise, live your dream, life.